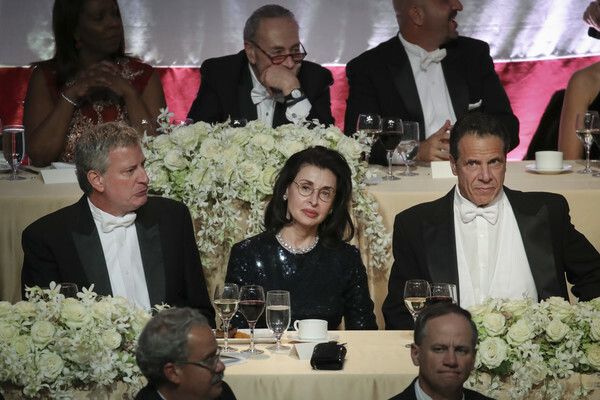 (L-R) New York City Mayor Bill de Blasio, Mary Ann Tighe and New York Governor Andrew Cuomo attend the annual Alfred E. Smith Memorial Foundation dinner, October 18, 2018 in New York City. The annual white-tie dinner raises money for Catholic charities. The foundation honors the late Alfred E. Smith, former governor of New York and America's first Catholic presidential nominee.